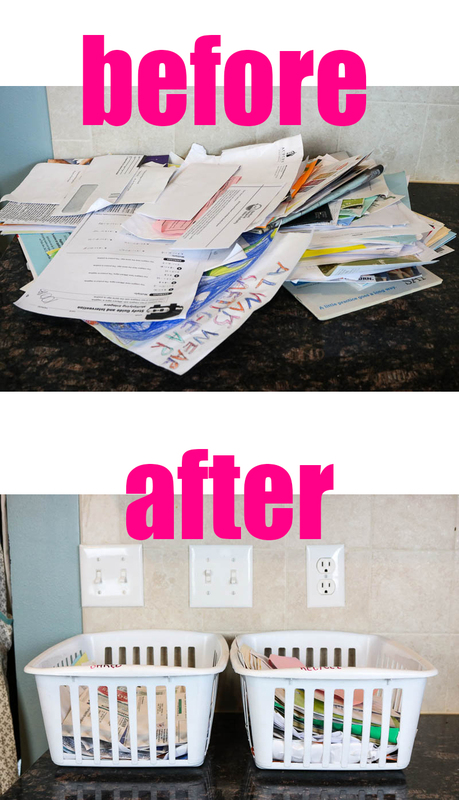 Welcome to Part 2 of The Self-Cleaning Home where we’re gong to organize paper clutter in the kitchen! If you are new here, go back to Part 1 and then follow along. You have to start at the beginning, no cheating aloud! This is important because we’re starting these little habits that build on one another. So it doesn’t matter where you are, you have to stay there and get each habit to where it’s simply effortless before moving on to the next. Otherwise, you’ll crash and burn and we just canna hava that. This week, we’re going to the kitchen counters. We’re going to deal with paper. In my house, we have paper to shred and paper to recycle. So, you need two baskets. One for shredding and one for recycling. This way when paper comes in, you deal with it immediately. Put the paper to shred, i.e. those stupid-arse credit card applications and insurance sales letters, in the shred basket. Put the paper to recycle in the recycling bin. Then on Friday, shred all the paper in the shred basket and dump the recycling paper in the recycling bin. This method makes it so easy to deal with all the paper immediately. If you’re in a hurry, you can just quickly sort things and your counters stay free from the paper monster. The second option is to keep a shredder and recycling bin in the kitchen so you can do it immediately. So if you want, you can try that. However, I was forced by my husband to try that and it was an Epic Fail. He’d bring in the mail and not do it immediately and the paper started piling up everywhere. Womp, Womp, Womp. So, the basket method is, to me, by far superior. P.S. How are you doing with the Kitchen Sink? Let me know down in the comments below! 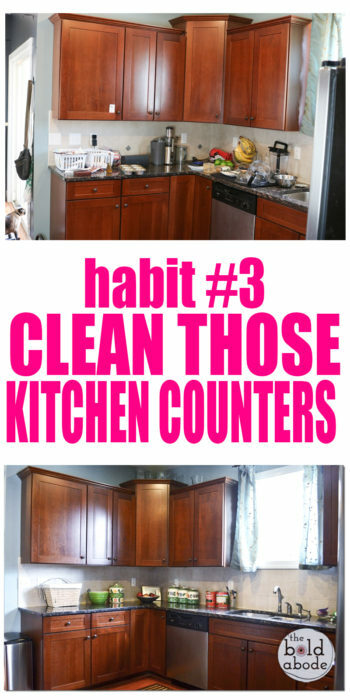 Find Part 3 of The Self Cleaning Home Right Here!